Nickname: "Die Katze von Anzing"
The Cat from Anzing was the backbone of a Bayern Munich franchise that produced some of the greatest teams of all time during the 1970's. He was a member of the Bayern Munich, combining with libero Franz Beckenbauer and striker Gerd Muller to win four Bundesliga titles, four German Cups, one Cup Winner's Cup, and three consecutive European Cups. He was the undisputed German number-one goalkeeper when they established a two-year stretch of dominance in which they won the European Championships in 1972 and the World Cup in 1974. He was still the starter when West Germany nearly repeated as European Champions in 1976 (they lost in the Finals), and played well in the 1978 World Cup before retiring from the national team in 1979. He was as durable as he was reliable, playing in 422 consecutive matches for both club and country from 1966-1977, a German record. Maier had always wanted to be an actor, and he brought his theatrical touch to the pitch. He was known for his outsized personality and became the template for a number of colorful goalkeepers that followed in his footsteps. Maier once spent an entire match chasing after a duck that had flown onto the pitch instead of paying attention to the opposing team, which was as much as testament to Bayern Munich's dominance as it was an indictment of Maie's buffoonery. Later in life, he glued his shoes to the ceiling and hung upside-down. Unfortunately, he couldn't keep his personal life in check and his career ended after he got into a drunk-driving related car accident. Just in case he had any room left in the over-size gloves that he became famous for, Maier added to his glittering collection of domestic silverware by playing an integral part in Germany's European Championship success in 1972. Two years later he crowned it all by winning the World Cup alongside five of his Bayern team-mates, including Franz Beckenbauer and Gerd Muller. Always open for a laugh and looking to play a practical joke on his team-mates, Maier was also a gifted goalkeeper who collected trophies and medals like few other players. JeanMarc, I guess you didn't read my message on PCSD forum. Therefore, I will paste it here for your appreciation. Perhaps his DEF could be two points higher. Fillol displays 94 and I see Maier slightly better than him in this aspect. I dare to say he deserves even 95. I have been impressed by his positioning sense lately. Surely world class. GKS could be at 89 considering the current Taffarel has 87 and Maier was superior to him for at least two points in my humble opinion. 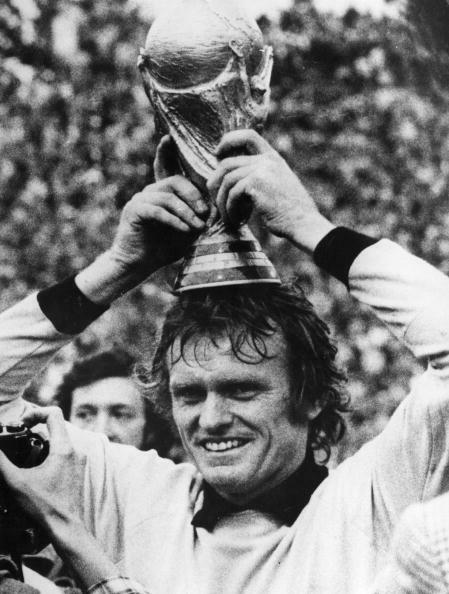 One of the biggest German legends turns 70 today, happy birthday Sepp Even if there are people who don't want to recognize how good he was, Germany and Bayern fans will never forget his saves and his great personality. With guys like Kleff or Nigbur as first goalkeeper Germany definitely would have lost against Poland and the Netherlands in 1974..